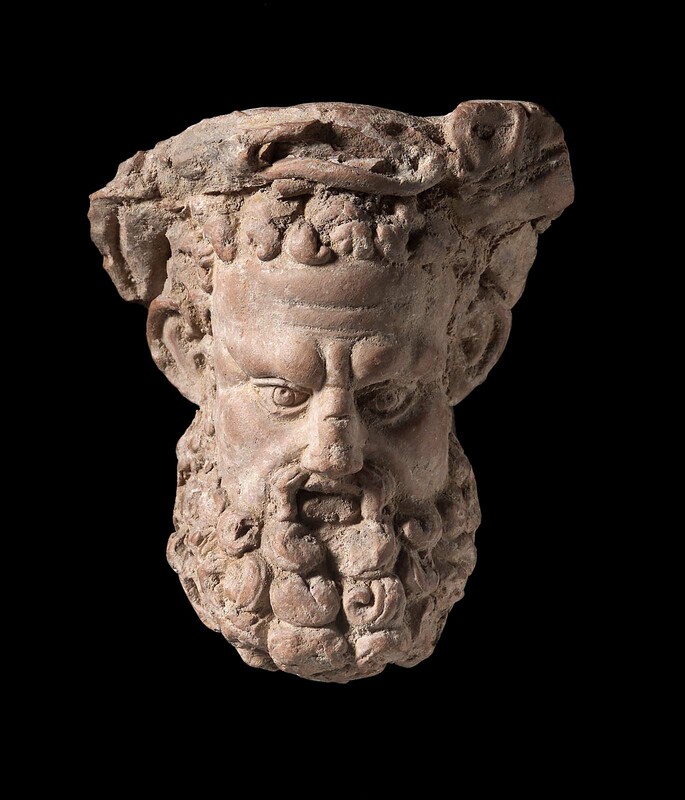 Head of Herakles. 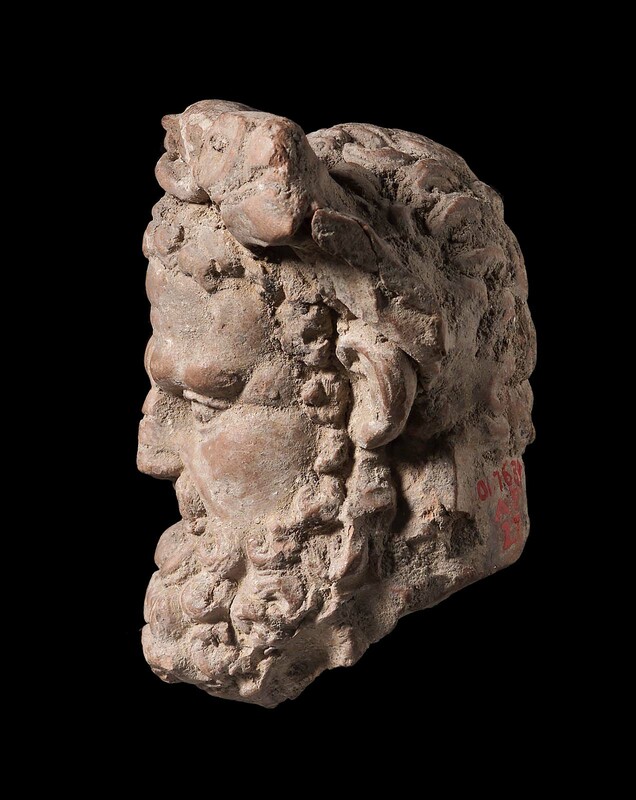 Brow furrowed with wrinkles; ears large; wears a heavy wreath; hair and long beard in short curly locks. Traces of gilding.